A presentation will be made today at the 4 PM Sioux Falls city council informational meeting. Ironically, while there was 10,000 fewer visitors in 2018 than in 2017 that operational expenses jumped $100K. 2018 made $1,000 less than 2017. It also interesting to note that many sponsorships expire next year and need to be renewed. We will see how that goes. I have often argued if there is the NEED for a public sporting facility in the community, it will at least break even or come very close. As I mentioned before the vote, besides being a bad location (no room for expansion) there are plenty of other indoor swimming opportunities for folks in the private sector, and many of these facilities offer other fitness options at their locations, some even include bowling and golf passes. We will continue to be in the hole for years to come on the MAC, because it simply really wasn’t needed and was built in the wrong spot. I still think we should have partnered with Sanford on a pool at the Sports Complex. There is a still a rumor floating around that they intend to eventually build an Olympic competition pool out there, and once Slaveowner High goes in it will be utilized. 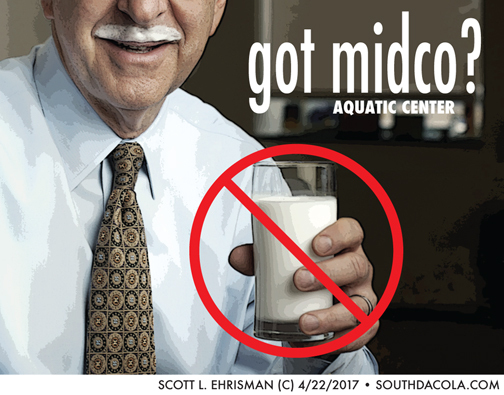 How is the Midco Aquatic Center doing? I was just thinking last week, how is that place doing financially? How much are we subsidizing? We haven’t had an update in a very long time. • The major sponsor is NOT happy with their investment . . .
• 2019 membership renewals are not good . . .
Not sure if any of this is true, but a financial report would help to clear up any of these rumors. A proposed indoor pool facility in Yankton got a big boost Tuesday. The Mike, Cindy and Kylie Huether Family Foundation gave the project a $1 million donation, just two weeks ahead of the opt-out election. On December 11, voters in Yankton will decide whether or not construction $14.8 million project will move forward. The community group Dive In Yankton has secured about $4 million in funds so far, including Tuesday’s gift from Yankton native Mike Huether. But in the WNAX interview MMM couldn’t resist to pull the heartstrings by mentioning the Midco Aquatic Center. Sorry Mike, not the same. While a small town like Yankton really needs something like this, and it will get a lot of usage and public support, my argument against our public indoor pool was different. Unlike Yankton, Sioux Falls has oodles of private fitness club indoor pools people can choose from. I just didn’t see the need to compete with private industry. And while the Midco has been somewhat successful (still hasn’t broken even on operational expenses) I still question the public ‘need’. *As for the generosity of the family, funny how the Huethers suddenly have a cool million for the people of Yankton but had to come begging to the taxpayers of Sioux Falls for $500K for a building that bears their name at the Sanford Sports Complex . . . and the public still can’t use the parking lot. UPDATE: Property values affected by new Aquatic Center? UPDATE: I spoke with a local realtor in SF who specializes in home sales. They told me that overall average in home values in Sioux Falls has risen 7-10% over the past year, but neighborhoods in individual homes obviously vary. I asked specifically about Spellerberg Park area, and they said that the mayor would have had to really dig into stats to back up that claim and that would have taken a realtor with that kind of expertise. In other words, once again, he was blowing smoke. He of course doesn’t reference any real estate study or statistics, he just lets the BS spew standing at the microphone. While, you could argue he is correct, because property values ACROSS the city have gone up over the past year, I find it hard to be able to measure property value increasing dramatically since the pool was built only a year ago. Any realtors want to challenge me or the mayor on this? Can anyone show me that property values have increased MORE around Spellerberg Park than the normal rate across the city or a comparable central/proper neighborhood. Would love to see the actual numbers since Mike couldn’t produce his sources. 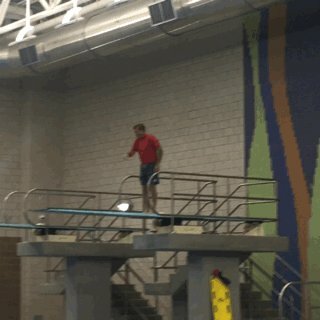 Just imagine, it was only a year ago when the mayor filled the pool with his tears. Some in power in this great town think they are the ONLY one who gets to make the grand decisions, like when it comes to Indoor Pools or Administration buildings. Citizen Jane is a timely tale of what can happen when engaged citizens fight the power for the sake of a better world. Arguably no one did more to shape our understanding of the modern American city than Jane Jacobs, the visionary activist and writer who fought to preserve urban communities in the face of destructive development projects. Director Matt Tyranuer (Valentino: The Last Emperor) vividly brings to life Jacobs’ 1960s showdown with ruthless construction kingpin Robert Moses over his plan to raze lower Manhattan to make way for a highway, a dramatic struggle over the very soul of the neighborhood. Jane shows that you can make a difference on a local level, and take on the ‘big wigs’ and win. 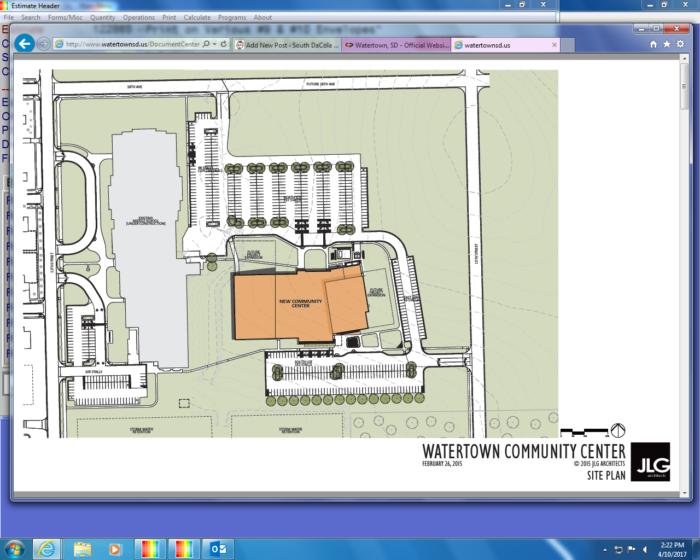 Watertown builds an entire Rec center for $23 million, we just got a pool, that we can’t expand. And guess what else? They built the facility so they could expand it and it’s parking! What a concept! They also have it next to a proposed Middle School! WOW! Planning ahead. I bet the lockers are big enough to at least fit your sunglasses and car keys into. I often wonder how construction costs in Sioux Falls could be that much higher then in Watertown? I actually think it would be MORE expensive to build in Watertown a facility like this. Like many Sioux Falls city projects, I believe the contractor and price is set before the bidding process even begins. The CMAR process is a boondoggle to make sure contractors rake the tax payers over the coals. It’s unfortunate that with all the ‘smart’ people we have working within city government (that we pay quite nicely) couldn’t see that the Indoor Aquatic Center was a complete rip-off. But Mayor Ramrod had to have it. This is what happens when you don’t let taxpayer’s decide on these projects. A NO vote on an outdoor pool only said that people might prefer an indoor pool. But since there never was an official vote we will never know. Was it a preferred location? Good Price? etc. We see what happens when we only let the mayor pick these projects, we get a huge price-tag and a $25 million dollar administration building. Oh, Mike, how you twist thee . . .
Give it up Mike. While the sponsorships and rental fees at the EC make SMG a profit and probably cover operating fees, the over $10 million in mortgage payments and normal maintenance is NOT covered by the profits of the Events Center, that comes out of our road funds. If anyone ran their business like we run the EC, they would be bankrupt in 6 months. The Midco Aquatic Center is just one week removed from its opening day- and already the center is surpassing expectations. In the first week-the water center drew in over 2,000 people for a swim and 600 others in for a tour. “We are trying to really reach all different kinds of demographics and programs so that we have a lot things going on and a lot of things happening to encourage people to come join us at the Midco Aquatic Center,” said recreation coordinator, Jean Pearson. Many people in the community say the $24 million indoor facility was a great investment for Sioux Falls. So with this great success, will the propaganda wing of the Mayor’s office stop peddling the lies that got us here?